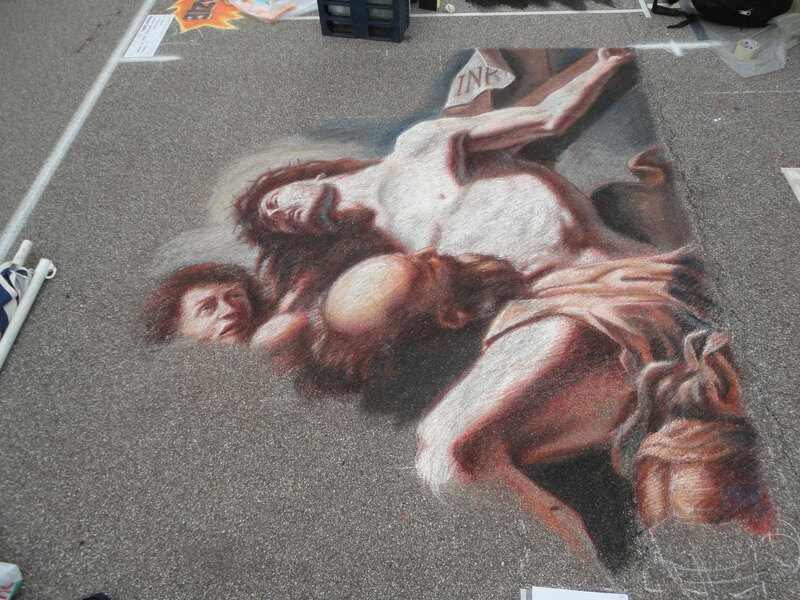 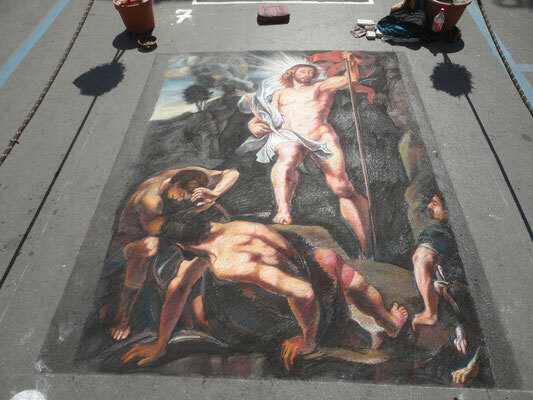 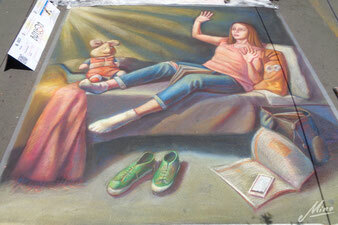 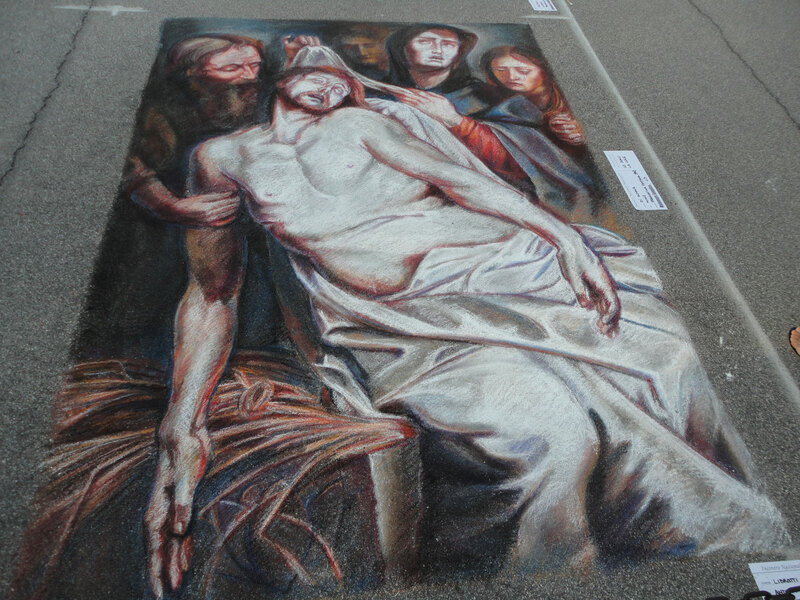 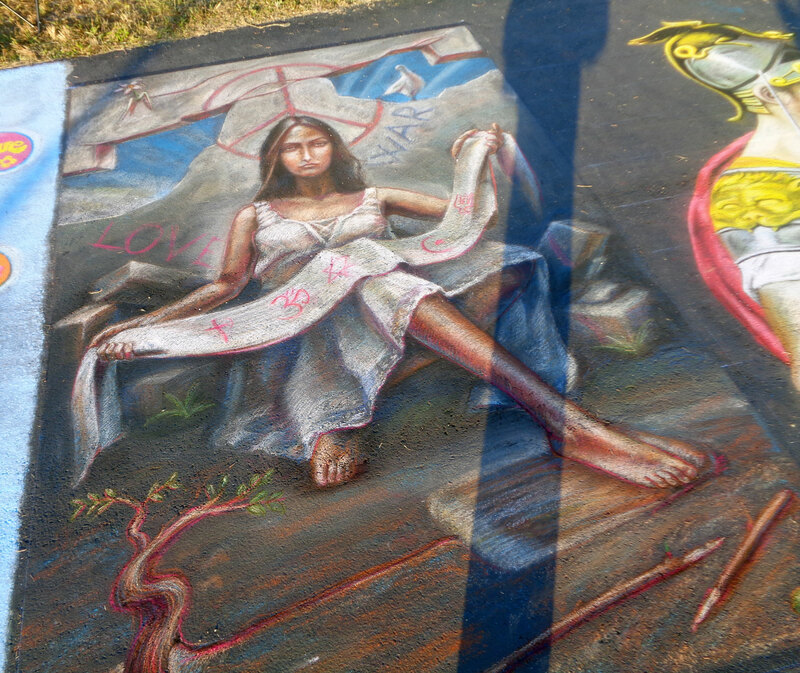 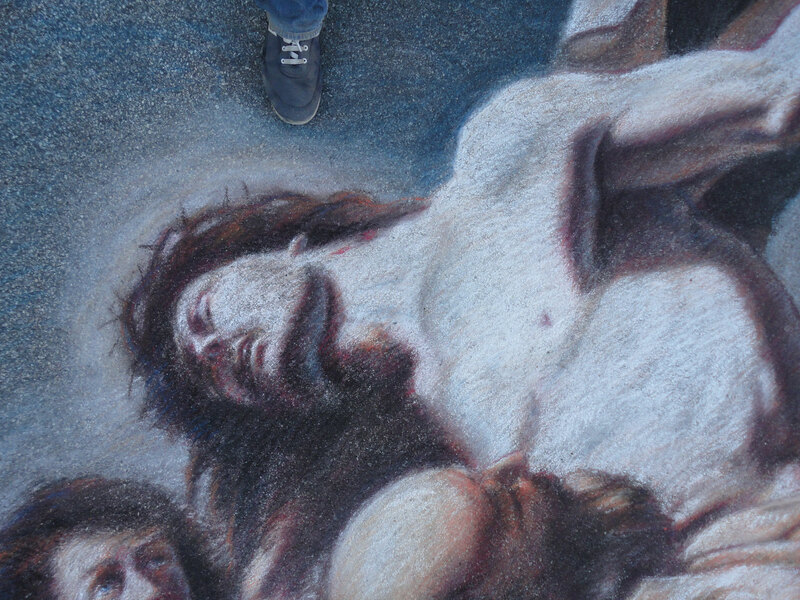 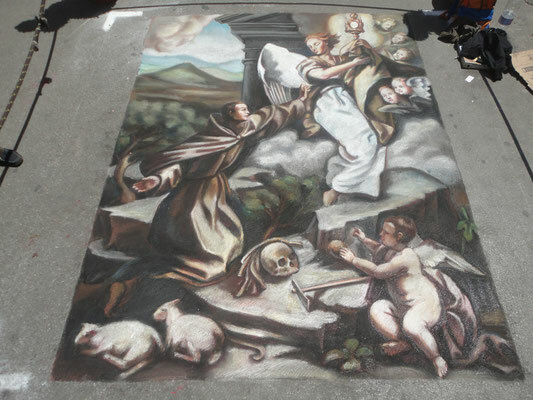 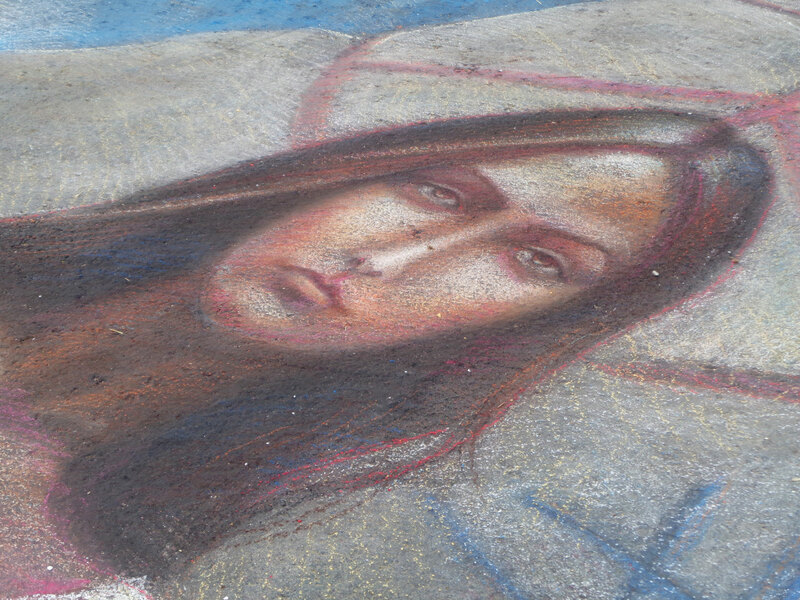 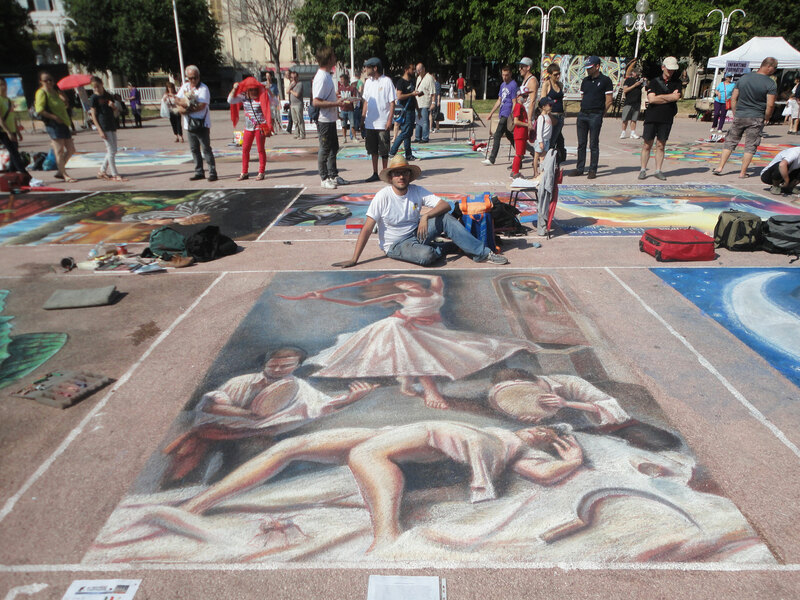 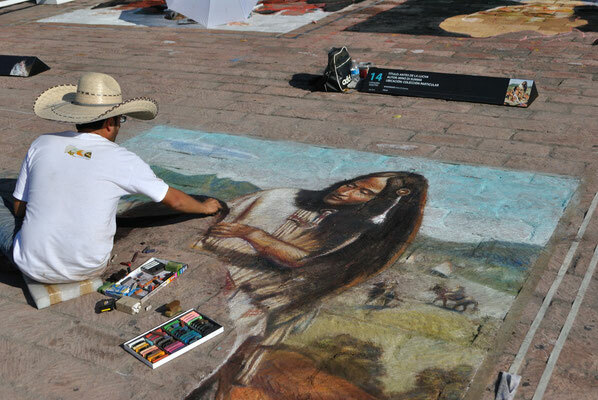 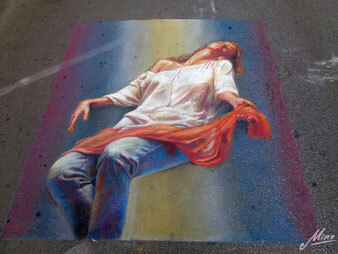 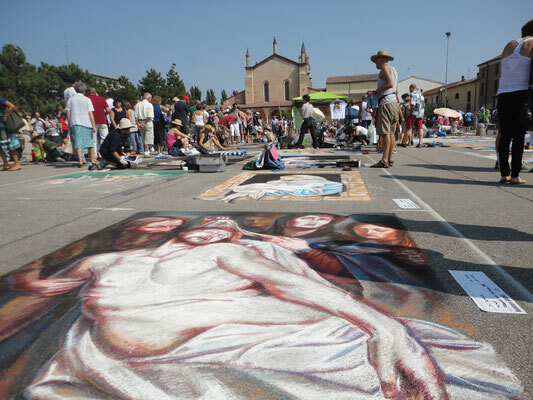 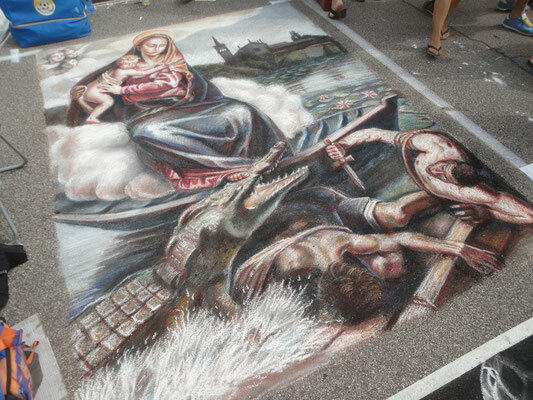 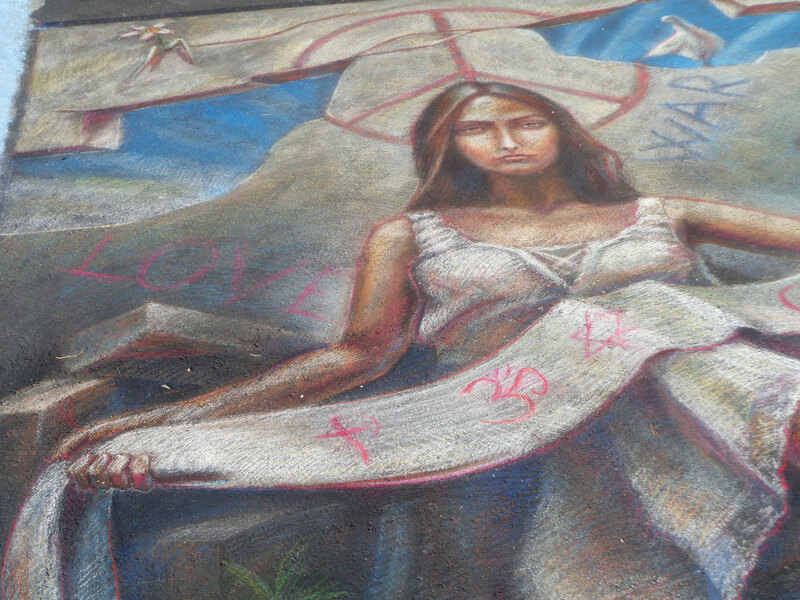 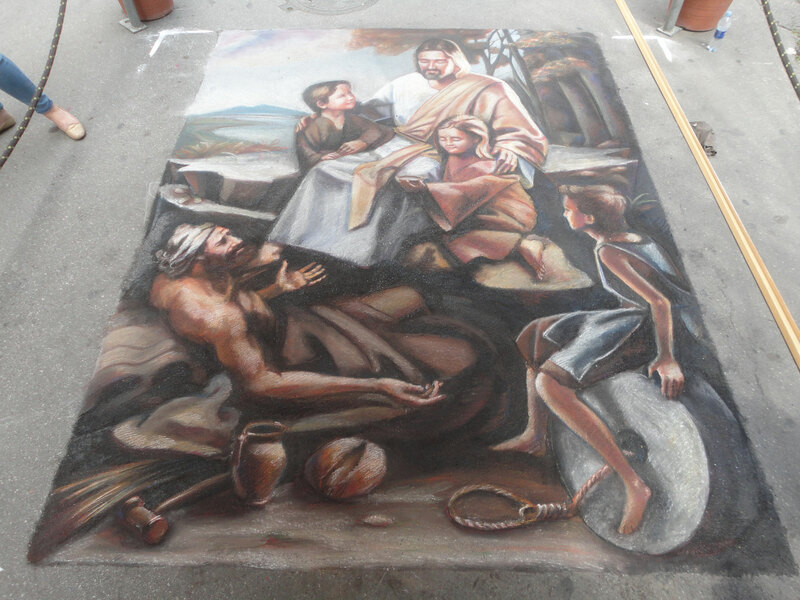 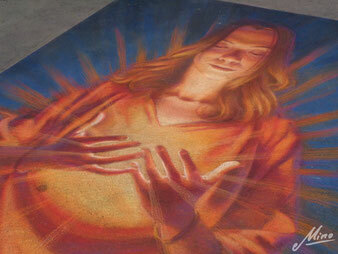 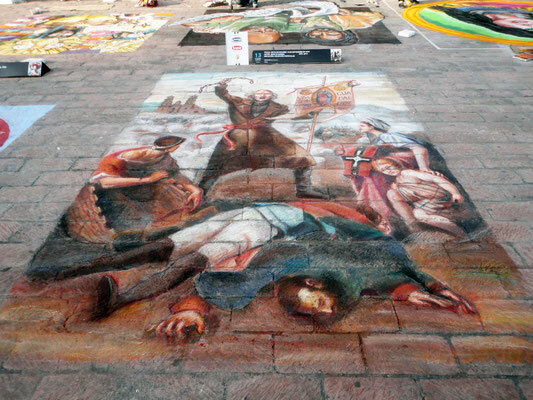 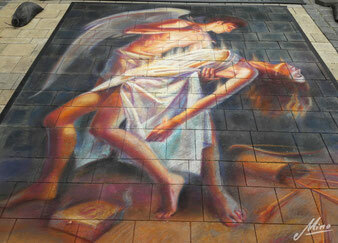 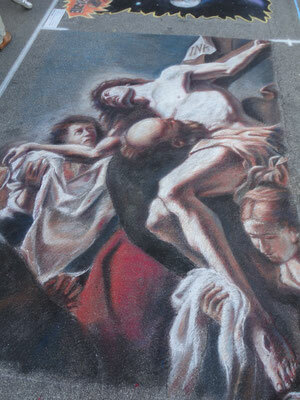 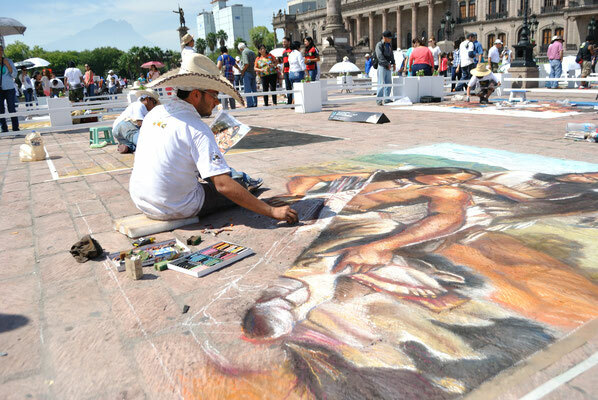 In this pagine you can find my works carried out for the street Painting Festival. 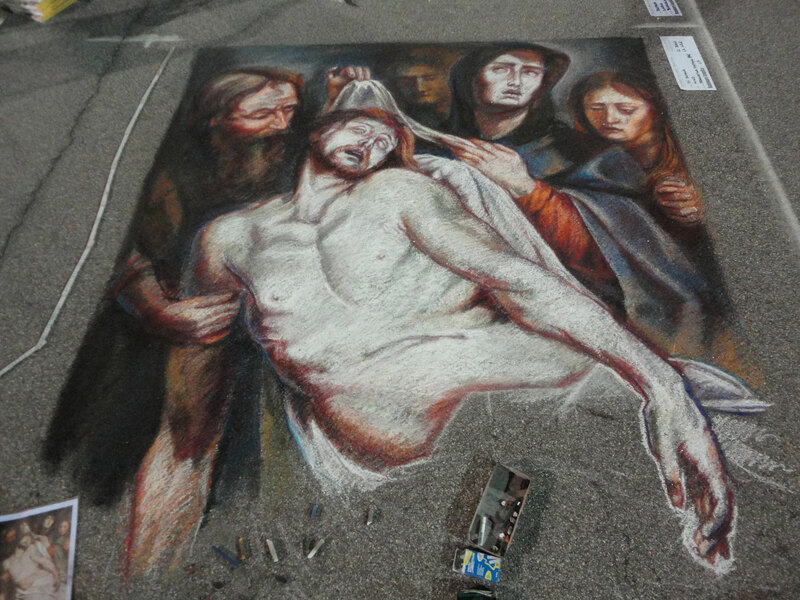 This art develops in the last centuty in Puglia, Italy, thanks to many Patronal Festival that take place in this territory, for this reason it’s called “arte madonnara” (lett. 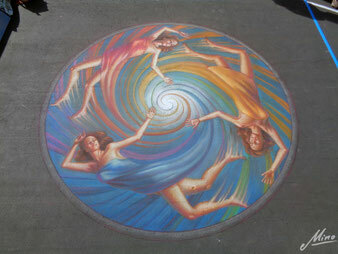 Virgin art), for the subject painted. 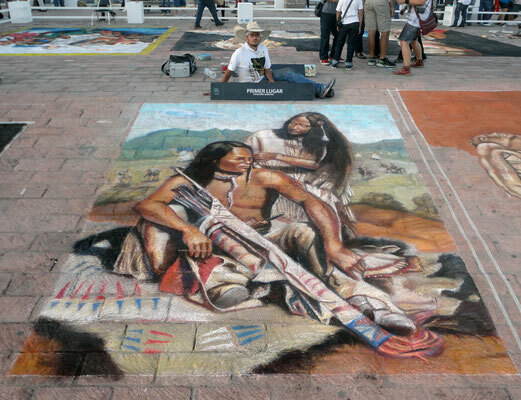 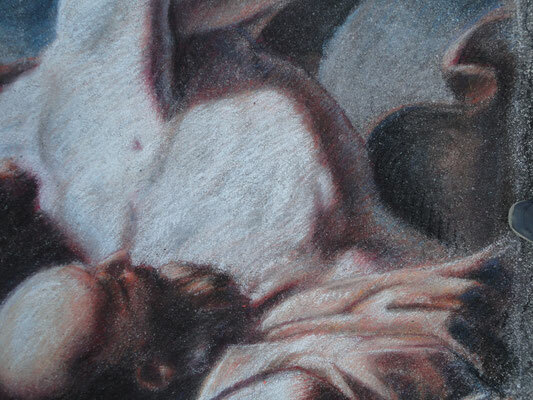 For the execution of the work simple materials are used as colored chalks and pigment. 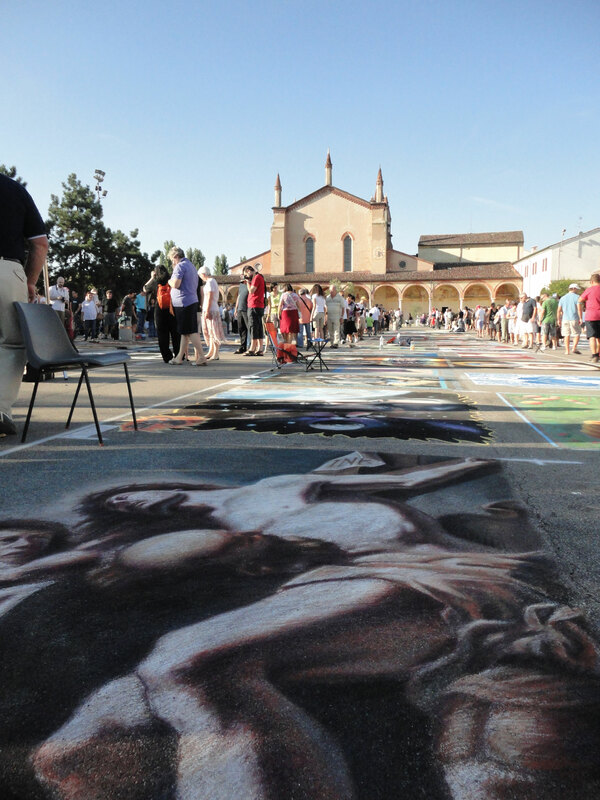 As Salento citizen, I keep alive this tradition, drawing in Puglia and, with great pleasure, I partecipate to International Festivals that more and more are rediscovering this gentle art.